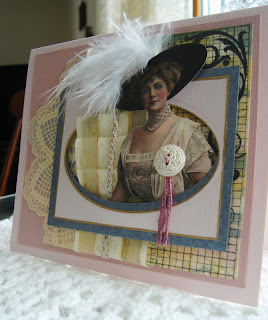 Today I’m adding a card into the “Ribbon Challenge” at Gingersnaps. My stamps are from Hero Arts and Stampin’ Up. and they are to die for. Two Pens Card Just a fun little card on a snowy day. I have a ton of stamps on this one. 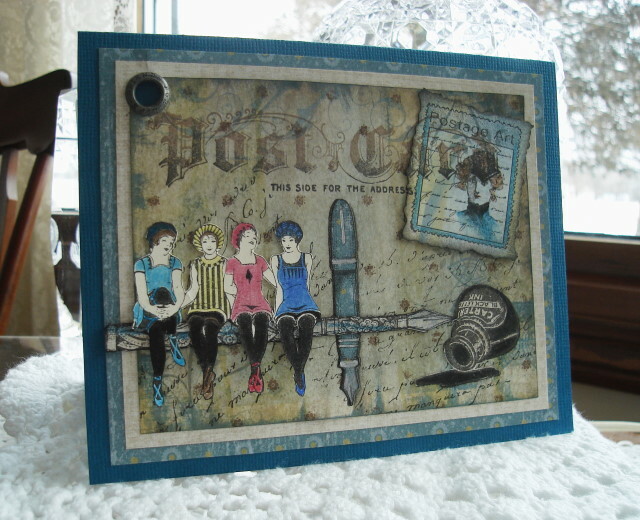 Large Post Card is from Stampers Anonymous. Postage stamp from Hero Arts, also background French Script. Thank you Ladies for visiting today, have a wonderful week-end. Labels: 100 Proof Press, Artfully Musing, Gingersnap Creations Challenge, Hero Arts. I knew when I read it was a ribbon challenge Your creation would be AWESOME and I was right!!! Ribbons, doileys and feathers, oh my!! and I love how the lady comes through the frame. Bravo Vada! 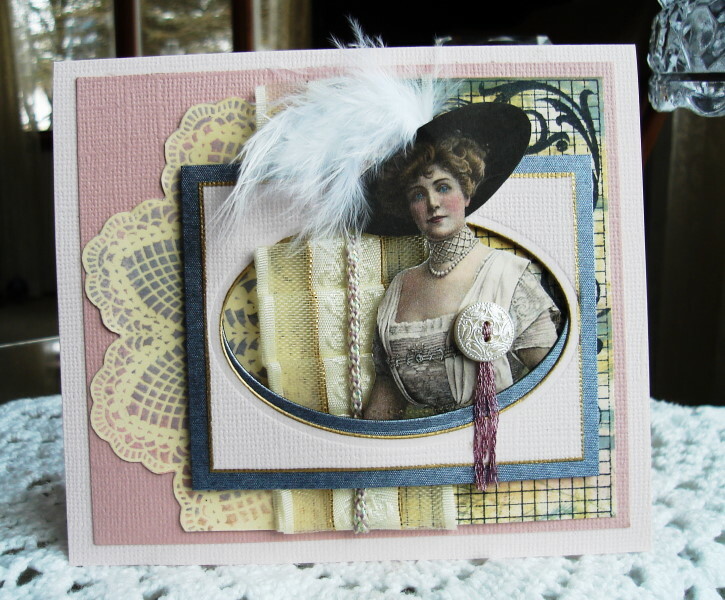 What an amazing 3-D effect with the fancy lady popping out with her lovely feathered hat! 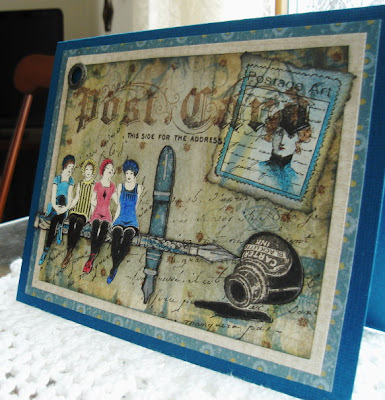 The background you created with the Post Card is way cool and of course I love those pen sitting pretty ladies! I love your snowy days, Vada! Have a great weekend! Your ribbon challenge is stunning from the front view but the side one blew me away... what a gorgeous pleating treatment! Love that. And the two pens card is fantastic - love the bathing beauties sitting on the long one! These are both fantastic, but I have to tell you, I'm lovin' that button broach, what a great touch! Amazing work - I love them both but I thin the girls on the pen is my favourite! 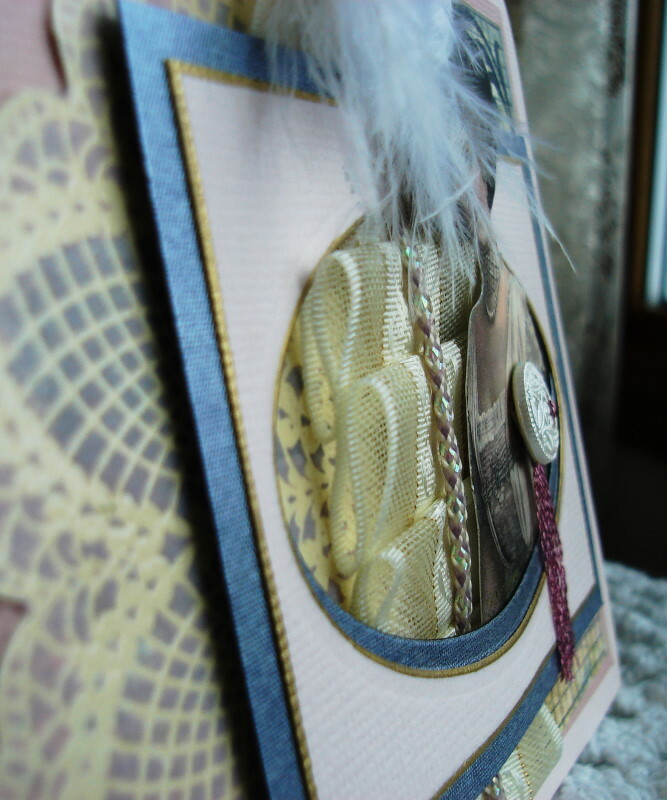 The pen card is absolutely stunning, Vada. Love the images, the design, the colours - love everything about it. It really is brilliant. Must get those girls! 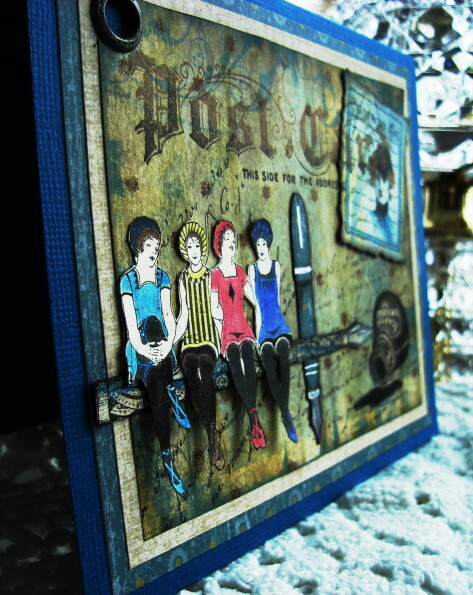 Waw I love this pen card, with the little ladies on it a lot, beautifull lay-out, and very funny card, love it!! Peaches And Cream Times Three. Something New From My Stash. Lady in Waiting, or Missing You.